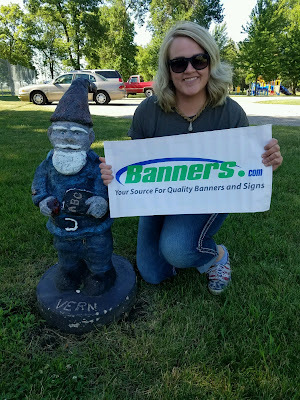 A couple of our Banners.com reps are headed on a road trip, and we wanted them to share their adventures with us! Matt & Sabrina are headed to the Bob Dylan & Mavis Staples concert in Omaha, NE. Along the way, they stopped at a gnome town (Dawson, MN). Stay tuned, we will continue their adventure to Nebraska!